The network-ready Lexmark C782dtn with standard duplex prints up to 40 ppm (up to 38 A4) in 4800 Color Quality mode and provides true 1200 x 1200 dpi capability for high quality color printing. No worries – colour costs are under control! 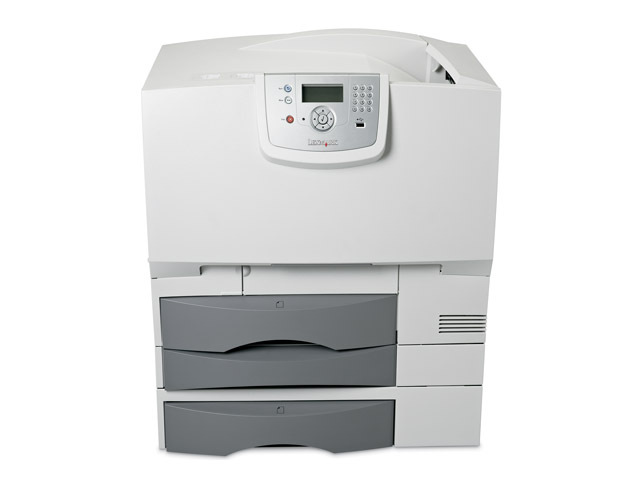 The Lexmark C780n and C782n were designed to put you in total control of colour costs. In addition to high-yield cartridges and a low cost per page, both printers come equipped with Lexmark’s unique ColorCare technology, a complete range of colour-cost-control tools. This includes convenient budget-friendly features, such as user-specific colour-print-permission settings, which let you limit which users can print in colour based on their specific job functions. At Lexmark, we’re always working hard to ensure you maximum productivity and minimum downtime. C780n and C782n colour laser printers include our solid service guarantee of One-year On Site Repair, with a response time of next business day (in serviceable areas). For an even greater level of peace of mind, you can opt for one of our extended-guarantee service offerings. For more information on any of these offerings, just contact your local dealer or visit us today at www.lexmark.com. Ride the wave of colour! Colour is the future of office printing, and now Lexmark lets you get in on the action like never before! From memos and business reports to eye-catching catalogues, Lexmark’s C780n and C782n laser printers give you everything you need to produce brilliant colour documents in-house. With our newly enhanced toner and long-term colour-science expertise, the results speak for themselves: crisp, professional-looking text, rich flesh tones and consistent images every time, from first page to last. What better way to boost productivity than by offering your employees a simple and secure new way of working? These printers are remarkably simple at every level, from set-up to maintenance. The front-loading consumables take just seconds to replace, while the intuitive operator panel coaches your end-users through printing and maintenance tasks with ease. And thanks to the cutting-edge security features with convenient numeric pad, you’re always ensured true confidential printing. Robust and reliable, the Lexmark C780n and C782n come network-ready and integrate seamlessly into your existing network environment. In virtually no time at all you’ll be set up and running through your heaviest print jobs at record speeds! Besides their competitive time to first page, both printers are incredibly fast. In fact, the C782n can reach up to 40 pppm (38 ppm A4) in mono and 35 ppm (33 ppm A4) in colour. So you can reduce the paper wait and get your documents in your hands faster. 4This product includes software developed by the OpenSSL Project for use in the OpenSSL Toolkit.